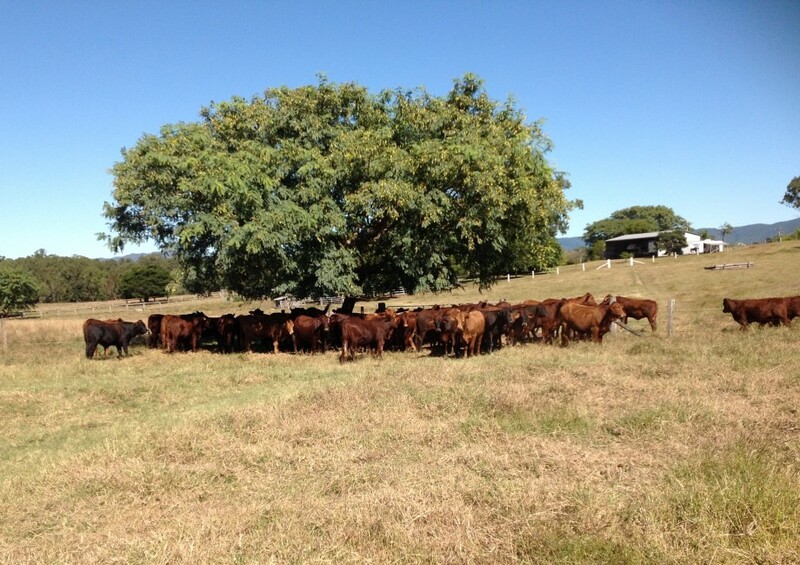 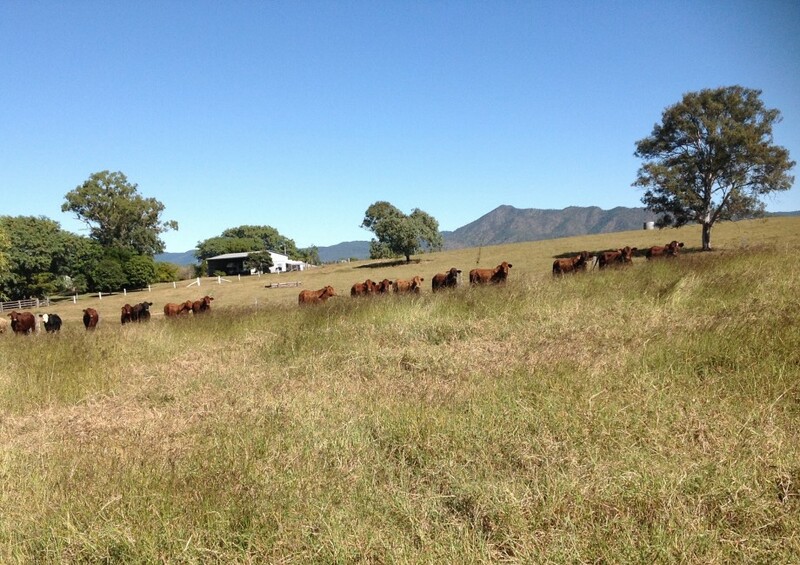 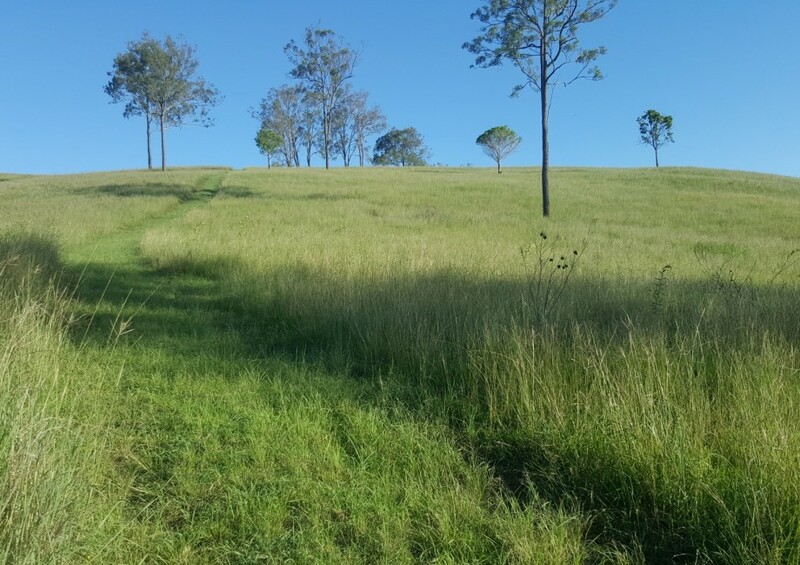 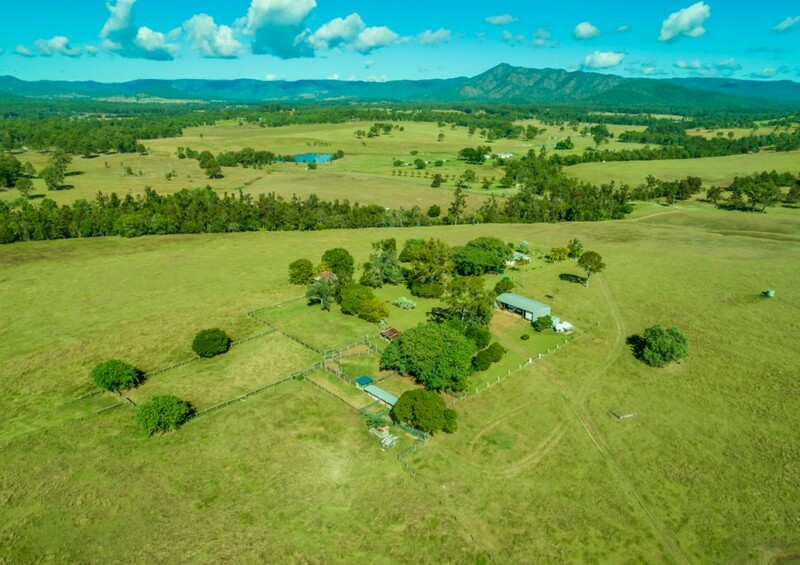 Gympie 876 Acres – Blue Ribbon Property – High Carrying Capacity . 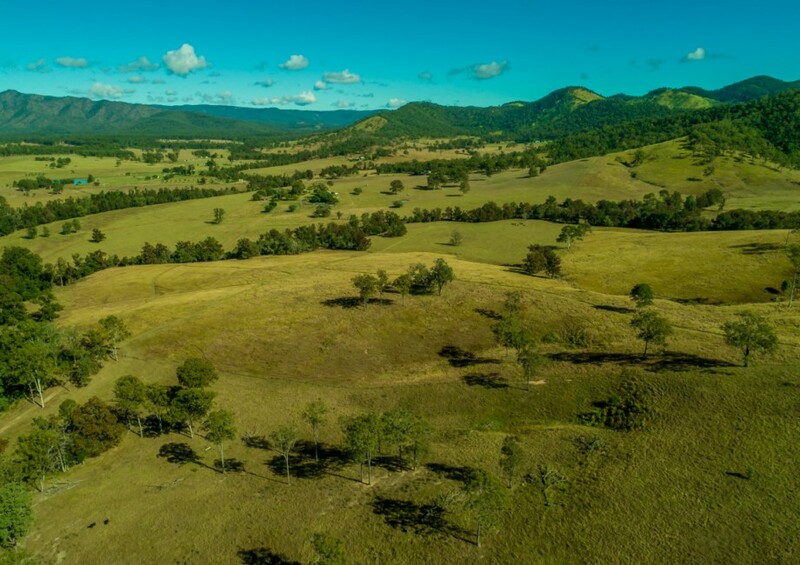 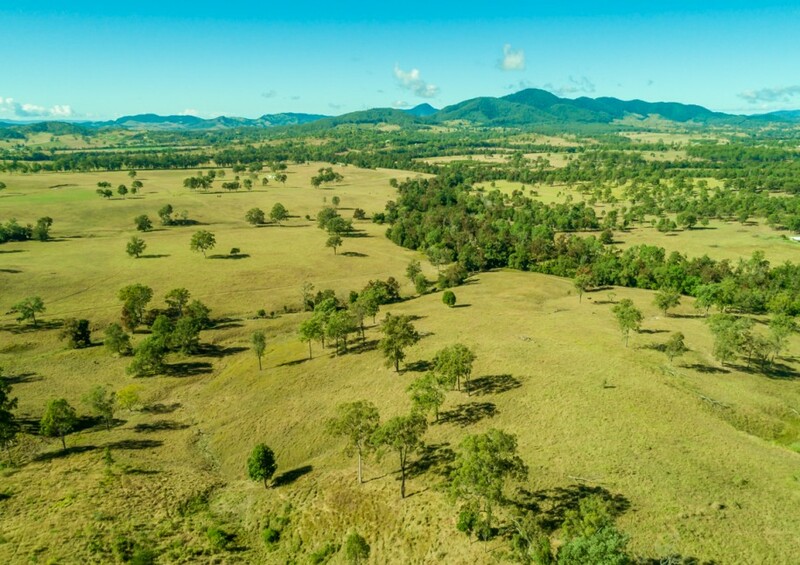 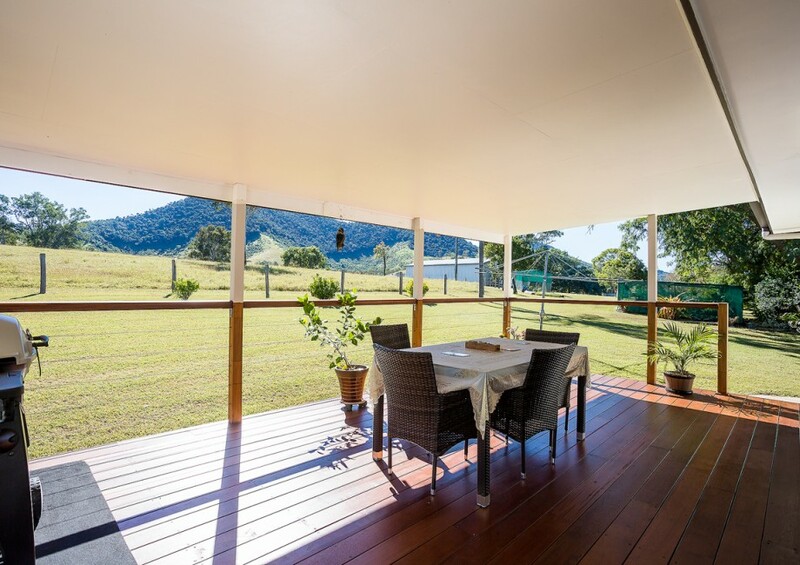 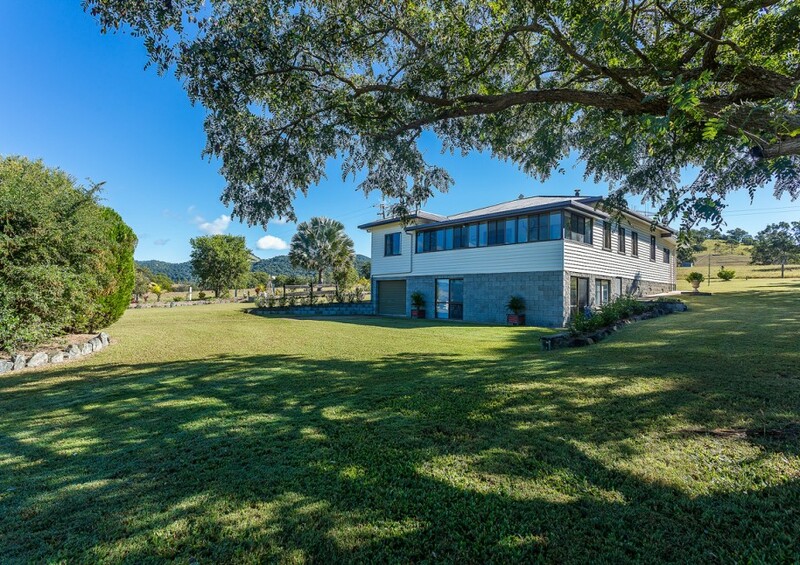 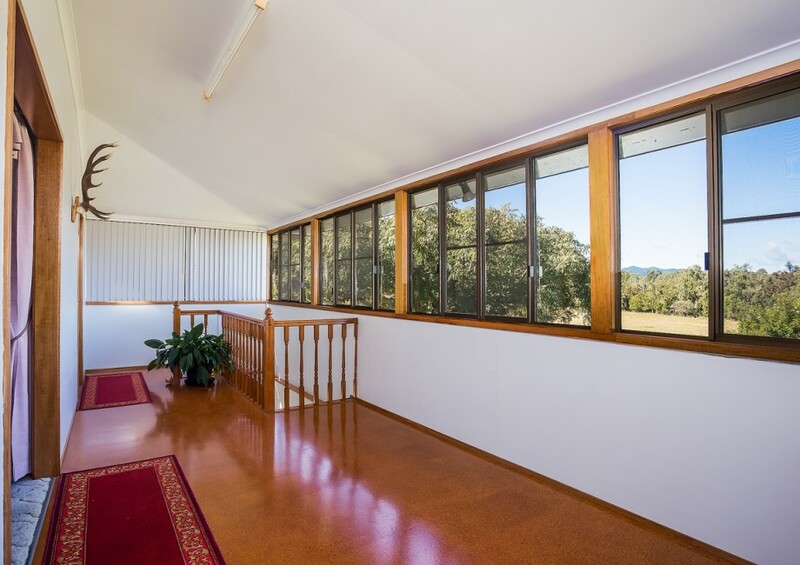 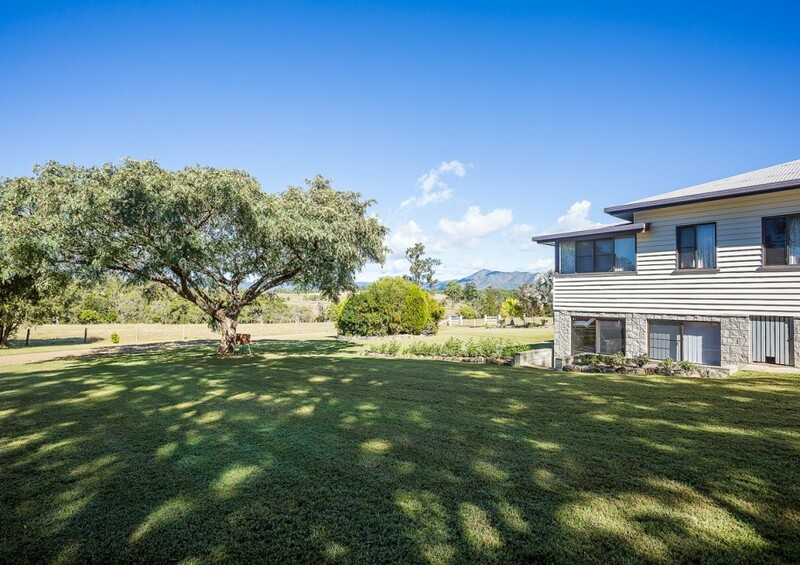 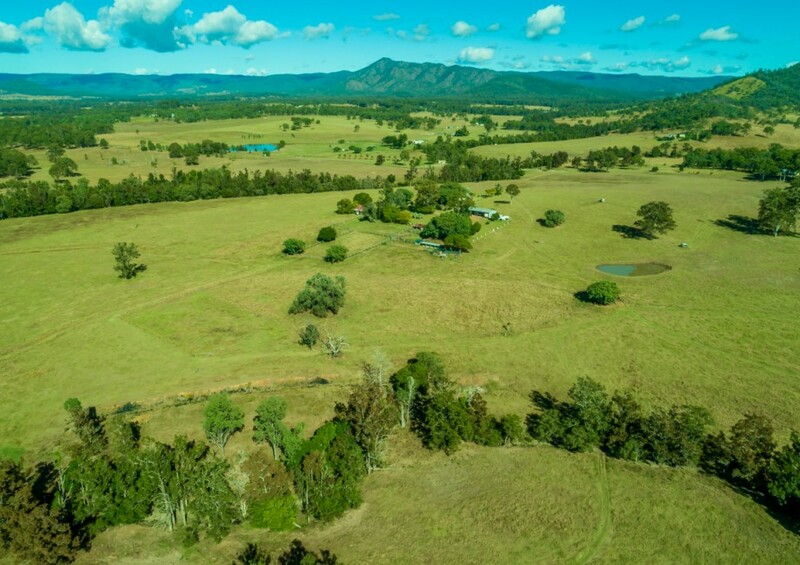 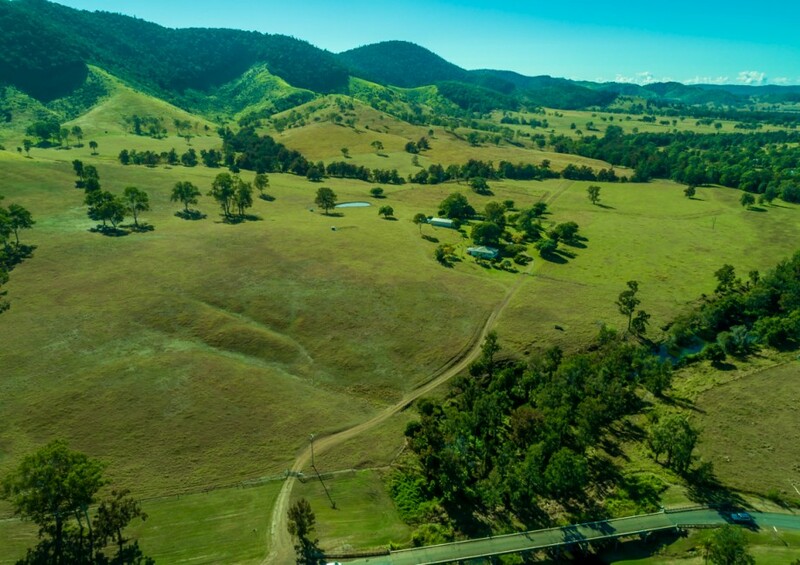 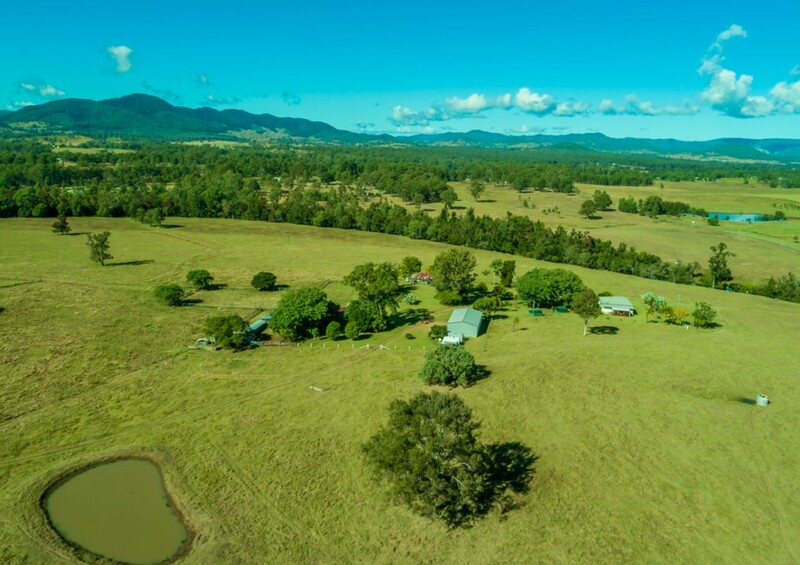 354.5 hectares ( 876 Acres ) comprising ‘5’ freehold titles & located only 25 minutes from Gympie in the quiet and picturesque area of Widgee – virtually on the edge of the township . 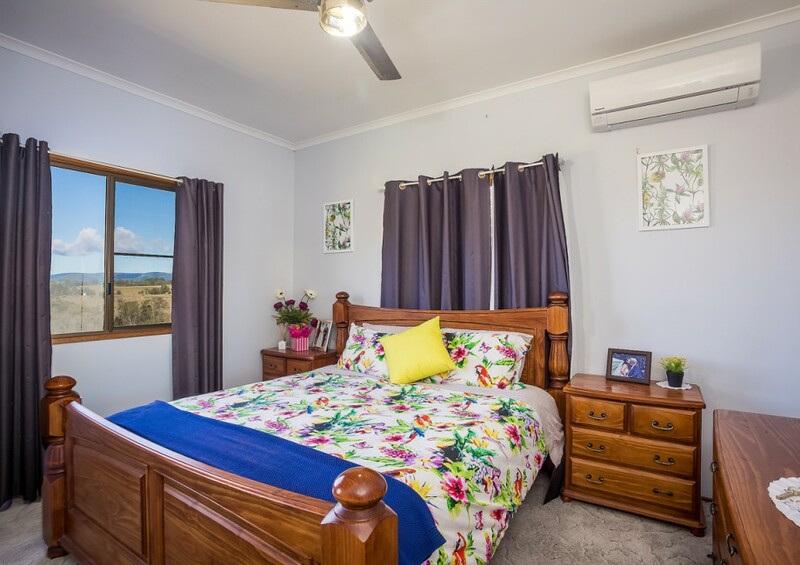 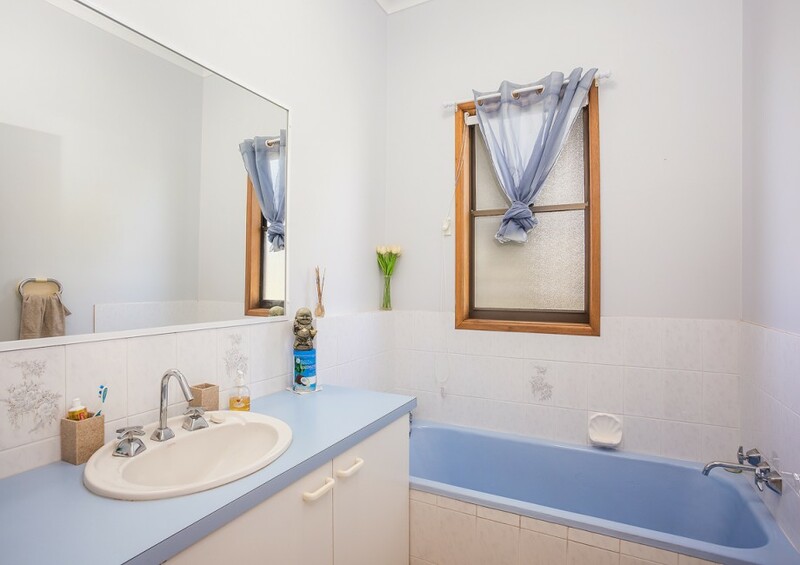 Homestead features four bedrooms plus large sleep out ,two bathrooms with an entertaining area downstairs , fully concreted , and serviced via an an internal staircase . 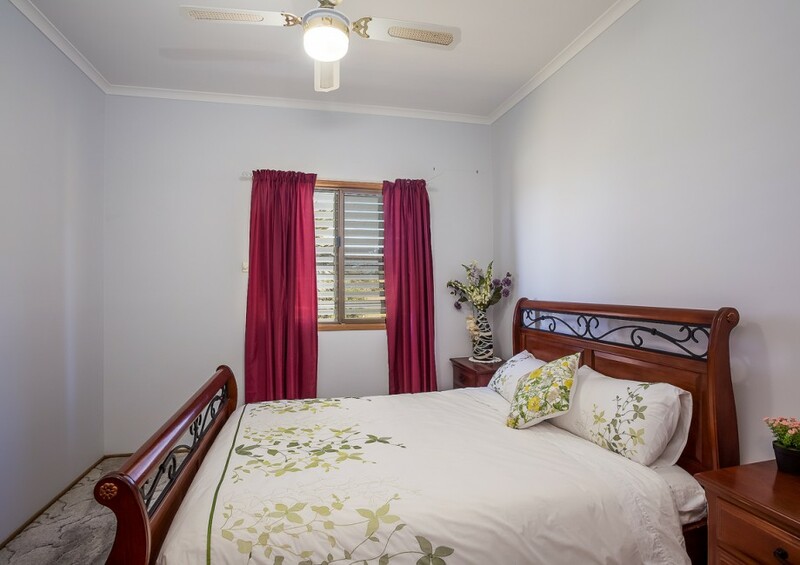 Airconditioning recently installed to the master bedroom , lounge/dining and kitchen areas . 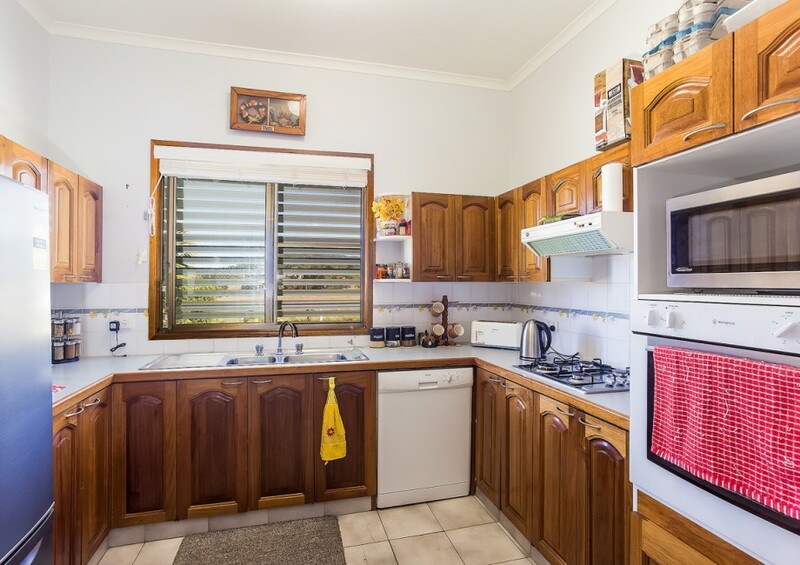 Beautifully maintained fenced yard with landscaped gardens. 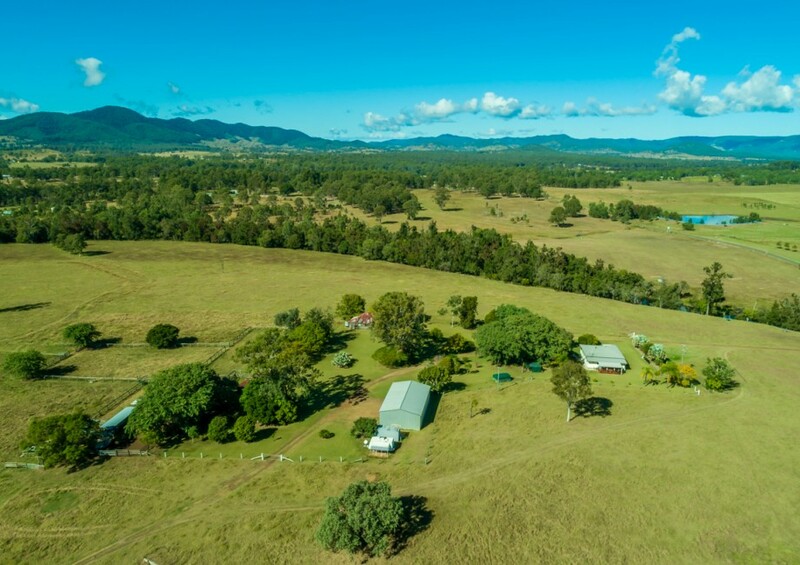 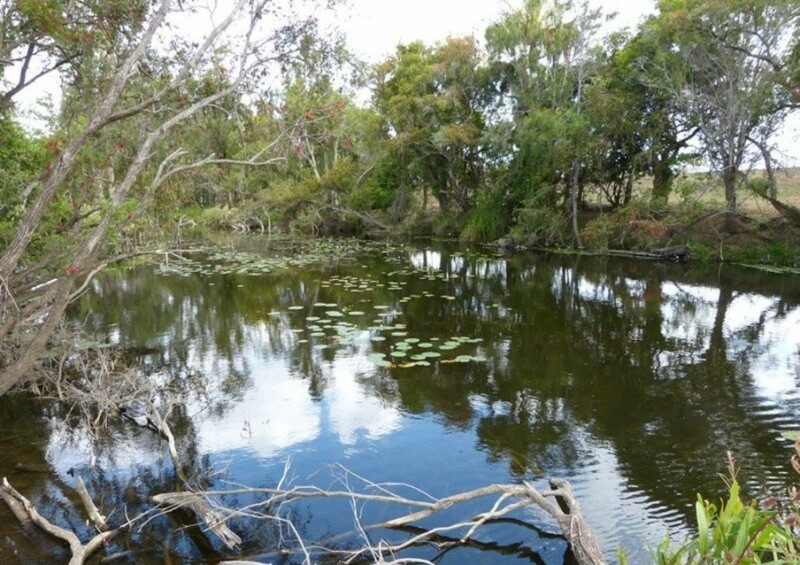 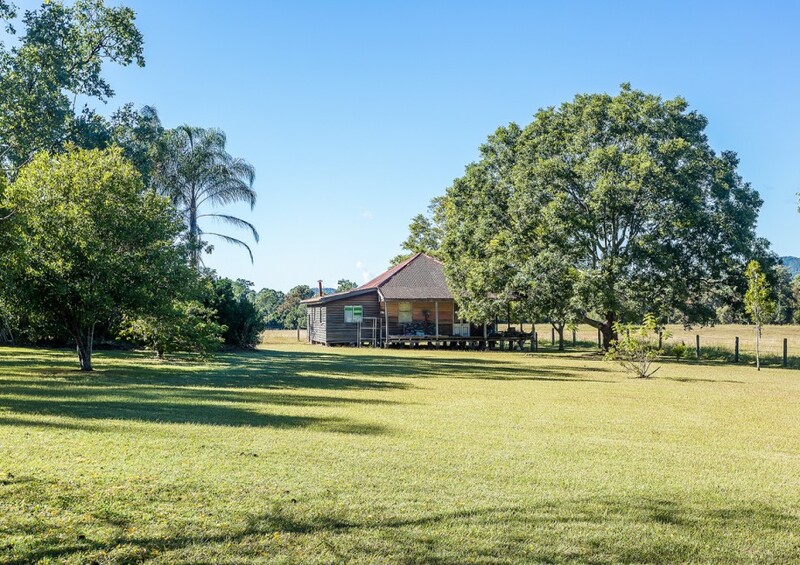 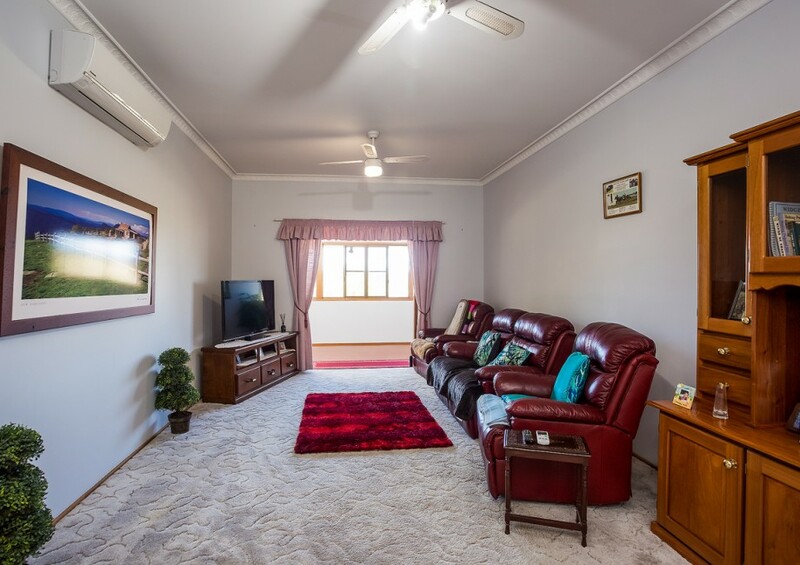 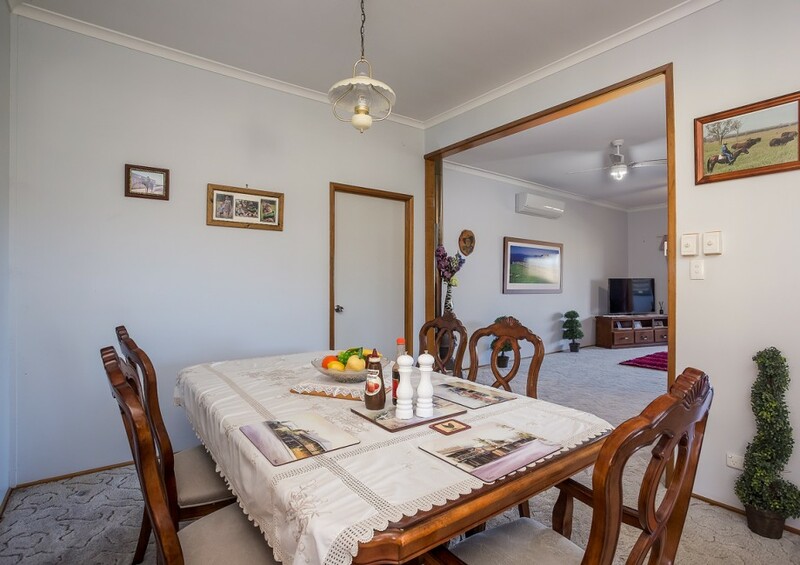 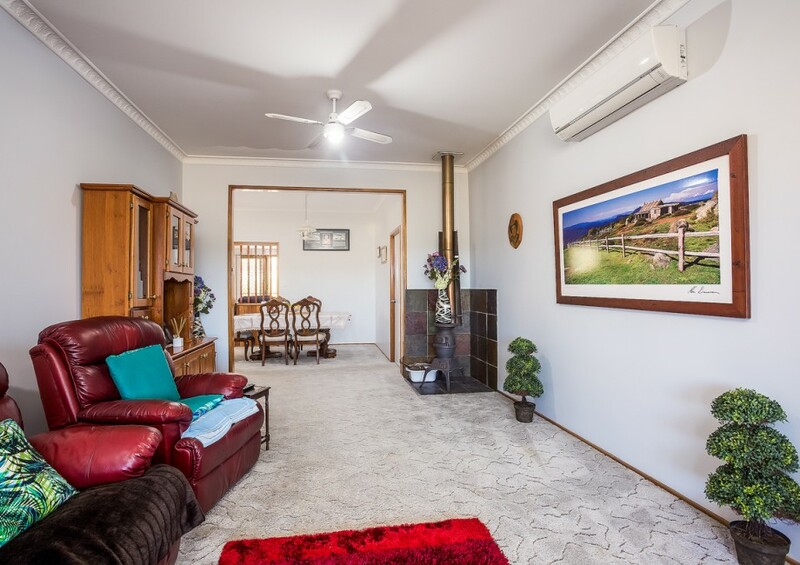 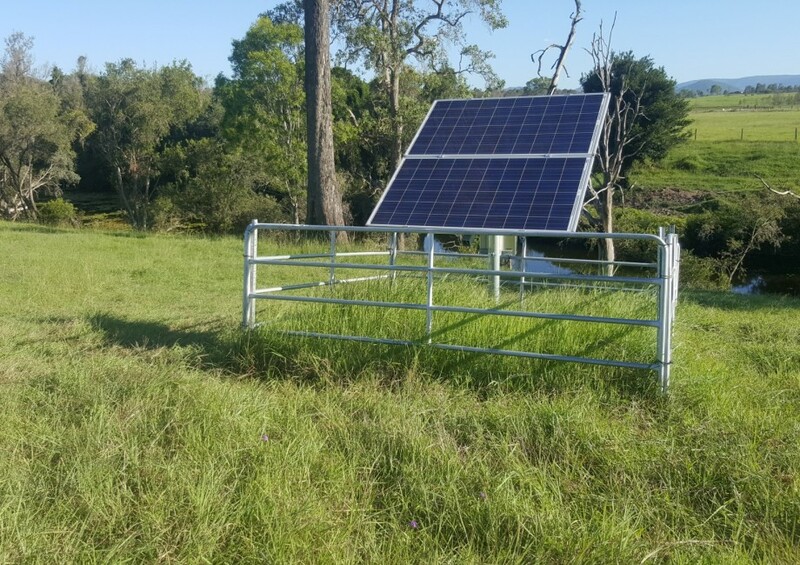 The home sits back off the road overlooking an excellent super reliable creek , Solar pumps have recently been installed to secure the water source, coupled with a well that has a constant flow plus an 8ha irrigation license from the creek, 2 other good sized dams. 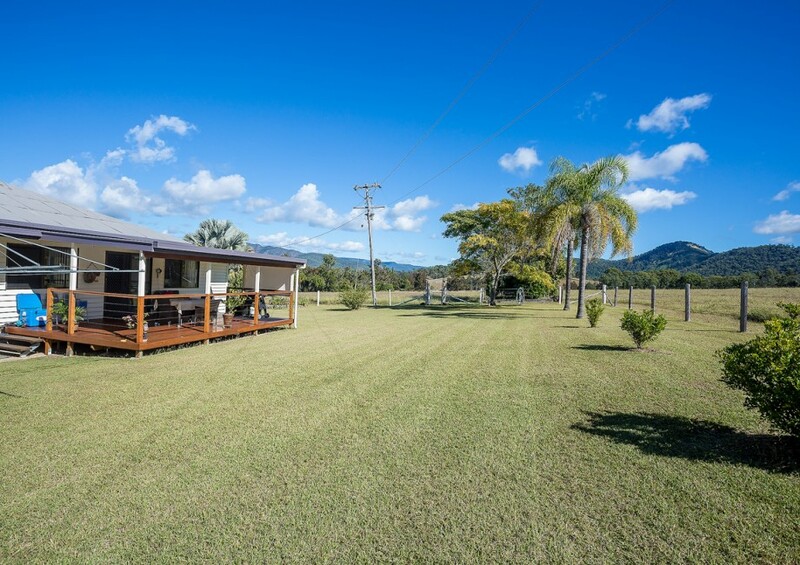 60′ x 30′ Machinery shed plus the original farm cottage. 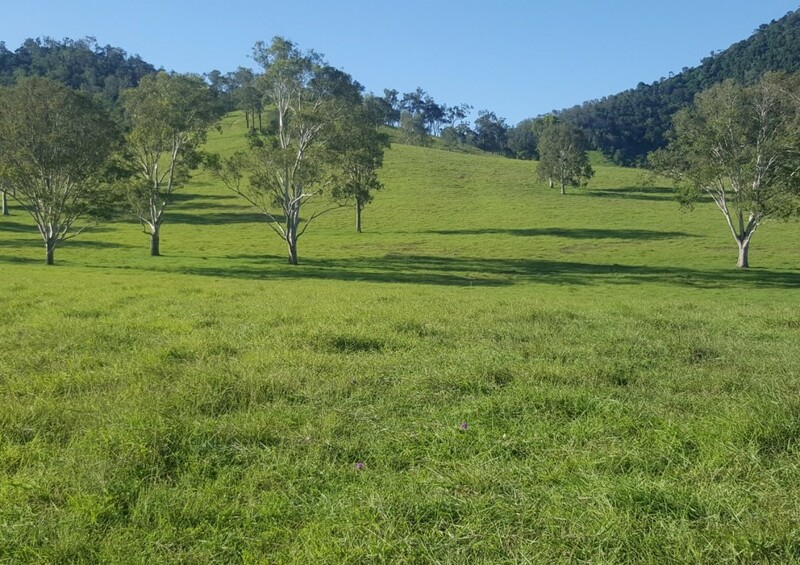 Renowned property for growing out quality cattle and turning off around 450 steers per annum on this pristine 1kg per day weight gain country. 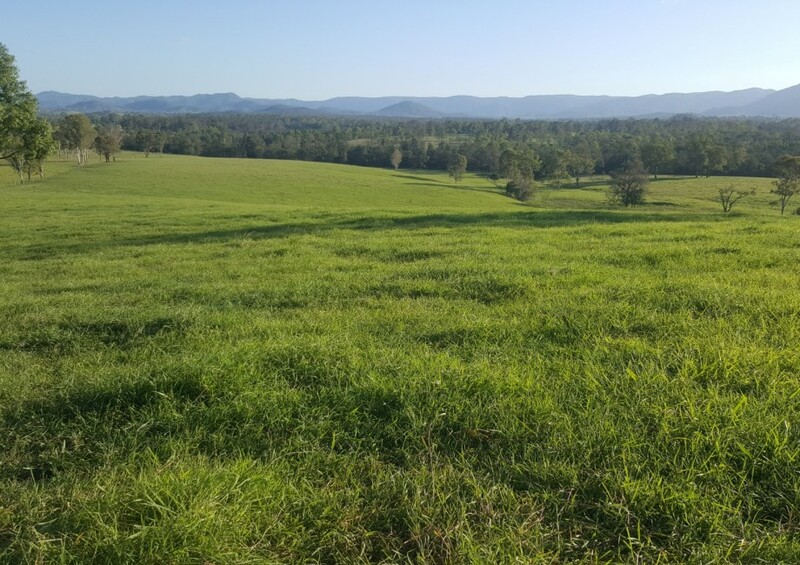 Improved pastures range from Rhodes and Green Panic, to Bissett Blue grasses and Glycine Legume. 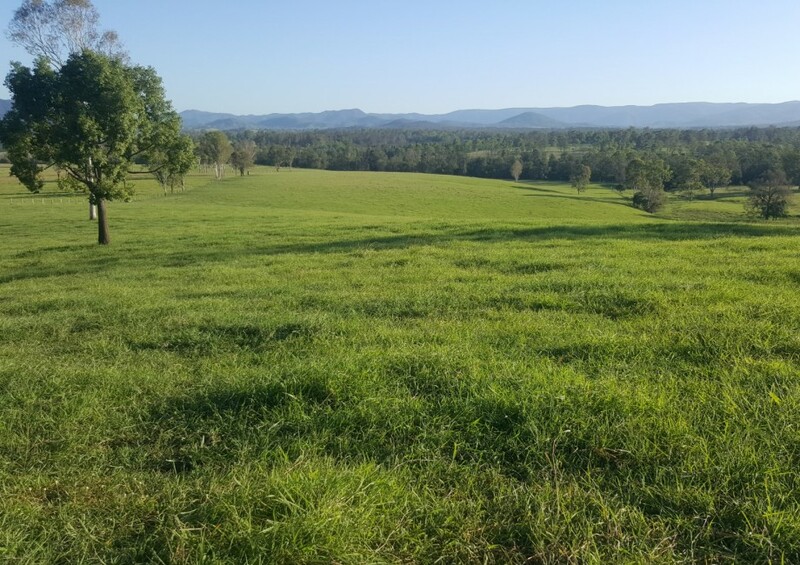 The fencing is in excellent condition with 7 large paddocks ,holding paddocks plus ,an impressive set of stock yards and – all the hard work has been done on this one !! 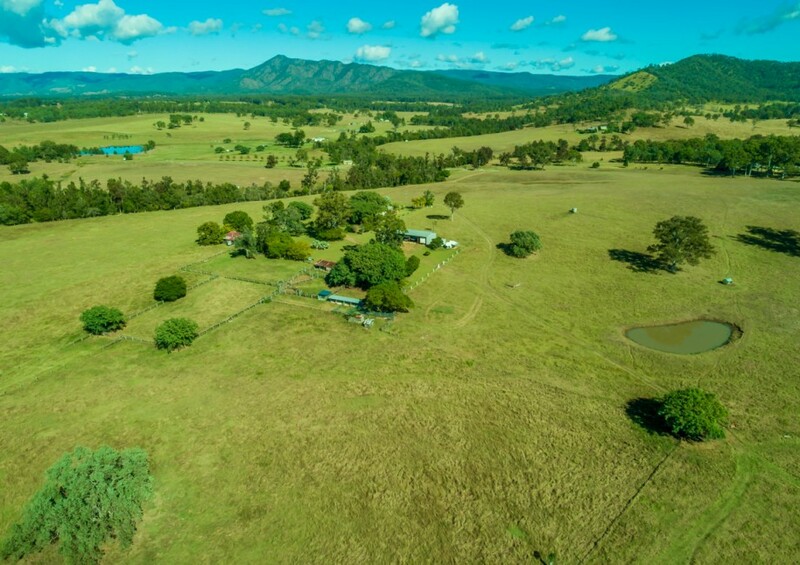 Comments : Arguably the finest large acreage property for sale within this very very popular farming community ,you won’t fault this one , put it at the top of your inspection list !